I hadn't heard of the term Hypnobirthing until after Dylan was born, and I wasn't convinced enough to try it until after Archie. 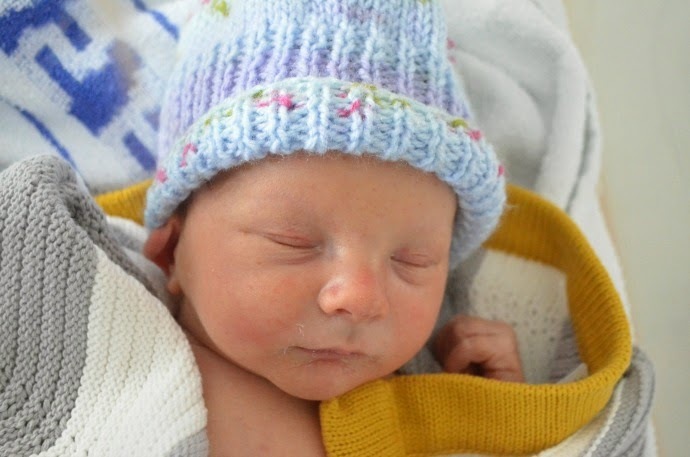 I was lucky enough to have two relatively quick and simple labours and when I found out I was pregnant with Finn, I knew it was something I wanted to try. I have never felt quite as powerful as those moments after giving birth, and with both births I had been utterly amazed at what my body had accomplished. I wanted to trust in it even more this third time, be more in touch and have a third fantastic labour. I was offered the opportunity to try out The Calm Birth School's online program and it seemed perfect for us. It comprised of a series of videos delivered straight to your inbox along with podcasts and a facebook group where we could chat to other mums and the two ladies behind the idea, Suzy and Holly. Being a busy mum of two already, being able to take the course at my own pace was ideal and the facebook group means you can ask questions whenever they pop into your head, even if that is 3am. For four weeks, I had videos about my birth, from breathing excersizes and ways of meditation to making a list of birth preferences and getting rid of any negative thoughts surrounding birth. I was lucky that I have previous positive experiences but the course helps you to move on from the past if things didn't go to plan. I really liked the way that TCBS wasn't just about having a natural pain relief free birth, but about trusting your body and staying in control whatever your choices and whatever path your experience goes down. The birth stories shared are of home births, water births, hospital births and ceasarians and I felt confident with my choice to give birth in the midwife led unit. When it came to the big day, I felt pretty good. The breathing came naturally after weeks spent practicing in the bath every night and I felt like every wave was bringing me closer to meeting my little guy. I felt in control and confident that things were far enough along when we decided to go into the midwife unit. When my contractions slowed down as we arrived, I knew they would pick up when I felt comfortable and calm again and in our dimly lit room, with calming music, and everything I needed to stay mobile, they soon did. It was only when things changed at the end that I started to lose focus, and for the last 3 contractions before Finn arrived I needed the gas and air to help. When I think back on my birth, I feel so blessed to have had such an amazing experience. My body grew a whole human being, it carried him for 39 weeks, providing everything he needed and then it birthed him, a process so complex and so natural at the same time. I am so in awe of what it did and of the way that hypnobirthing made me feel in touch with the whole process. As a parent to three small children, I am finding that the skills I learned are still part of my daily life and the breathing helps me cope when Archie tips yet another bowl of cheerios all over the floor! Disclaimer: I was enroled on the video course free of charge and this is my honest opinion and story.